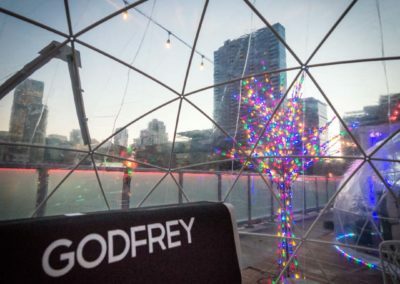 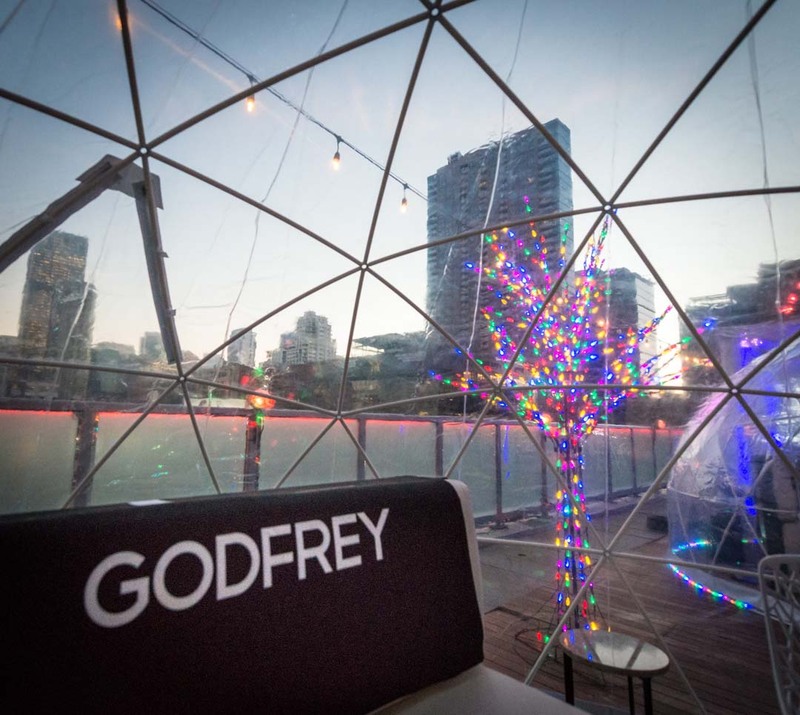 THIS SEASON, THE GODFREY INVITES GUESTS TO ENJOY ITS ANNUAL WINTER WONDERLAND, OFFERING THE CHANCE TO EMBRACE ROOFTOP SEASON YEAR-ROUND, EVEN IN CHICAGO. 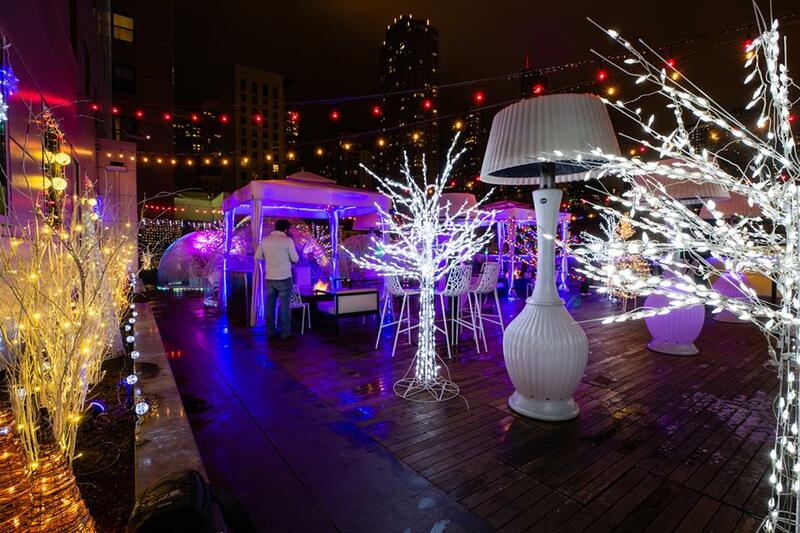 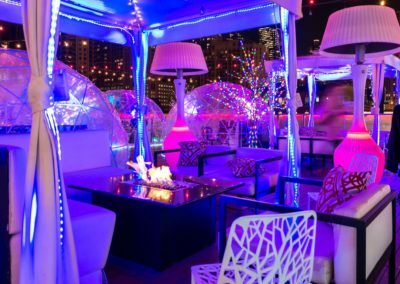 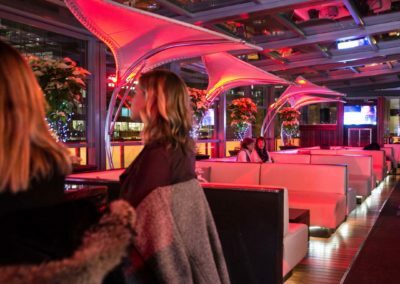 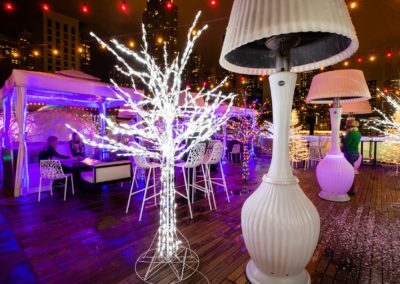 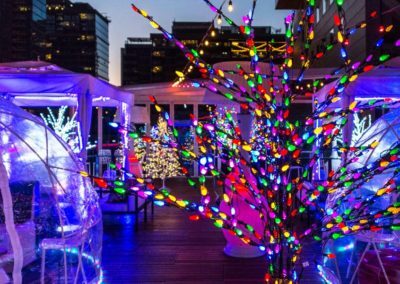 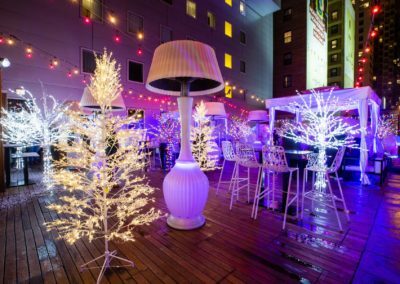 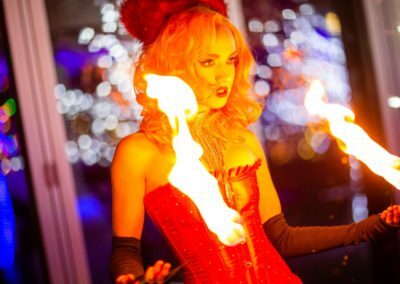 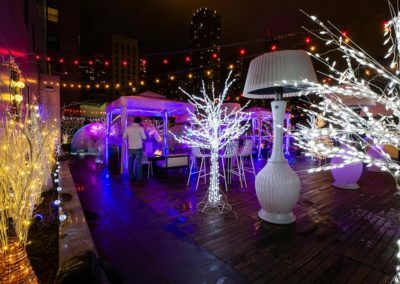 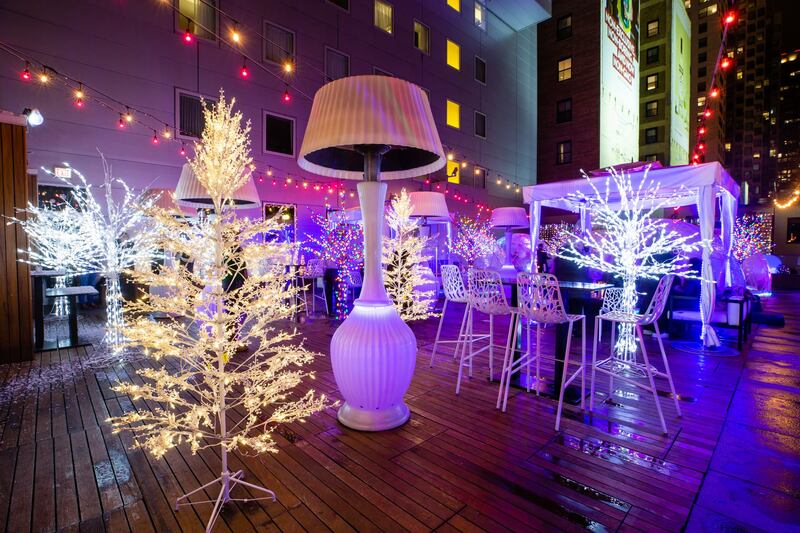 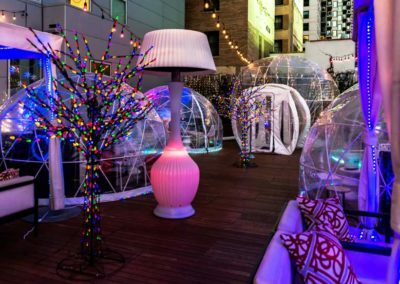 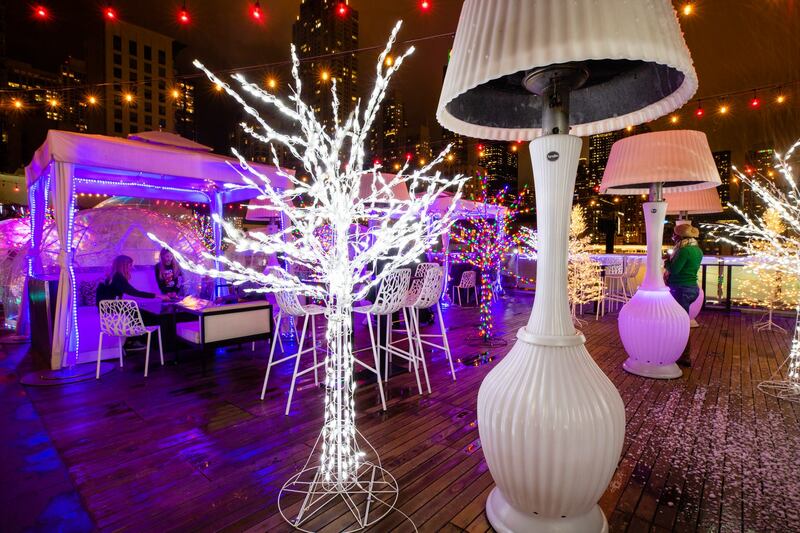 EACH YEAR, I|O GODFREY, THE HOTEL’S ROOFTOP LOUNGE AND RESTAURANT, IS TRANSFORMED INTO A WINTER WONDERLAND ESCAPE, FIT FOR THE SEASON, NO MATTER HOW CHILLY IT GETS IN THE WINDY CITY. 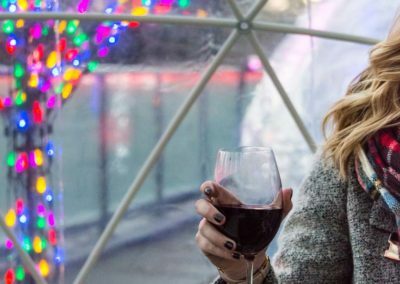 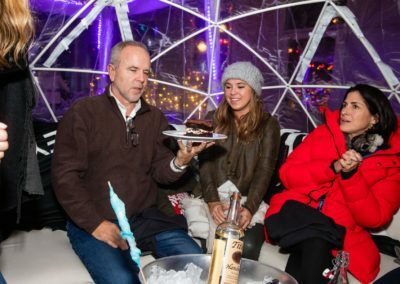 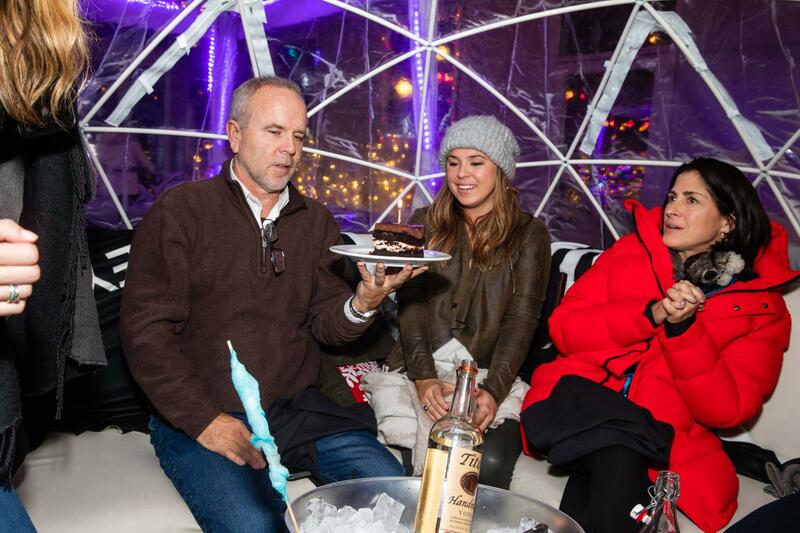 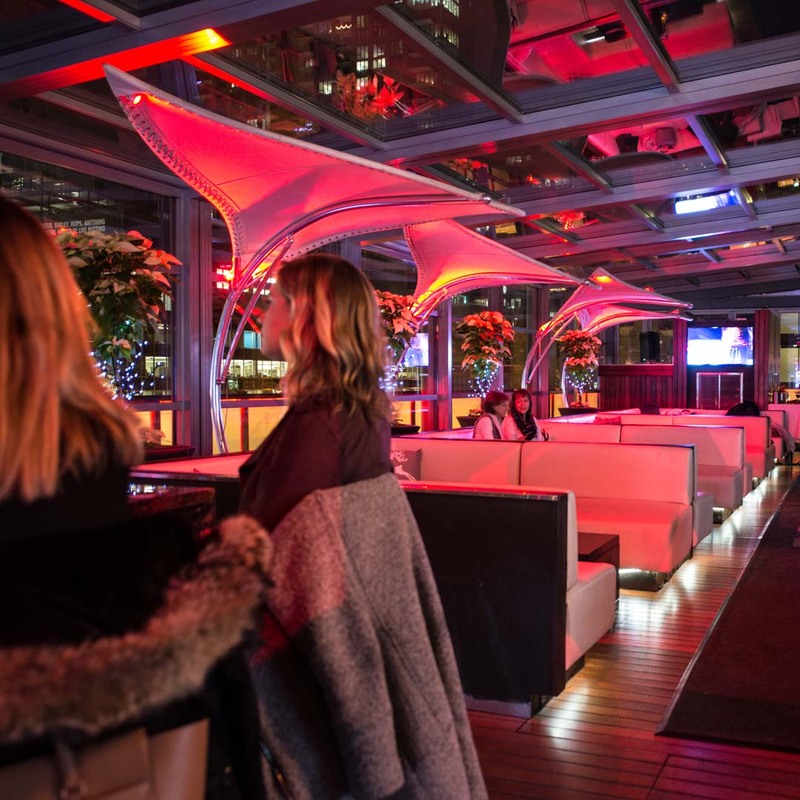 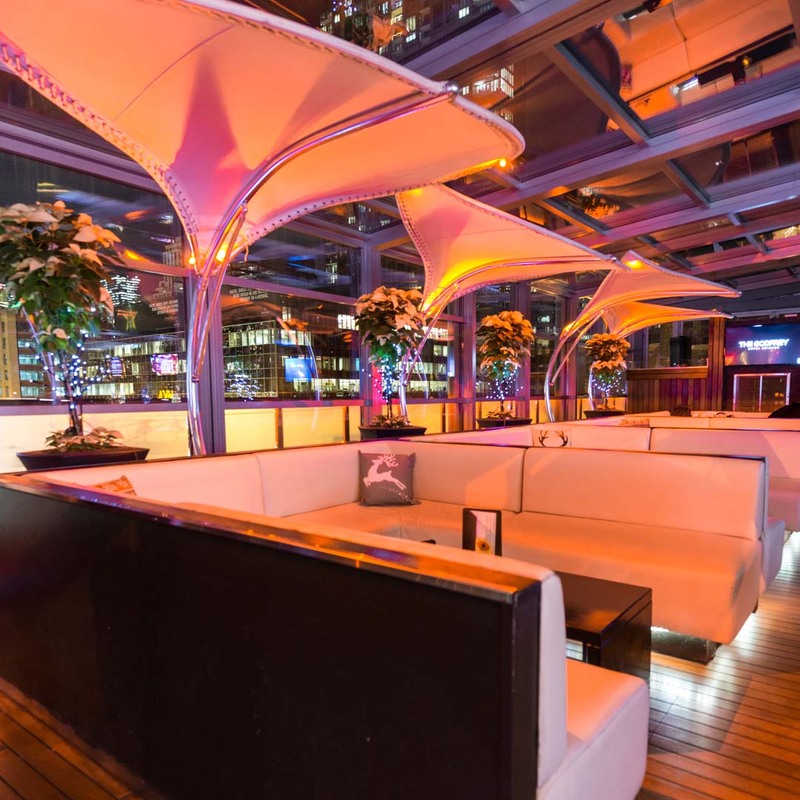 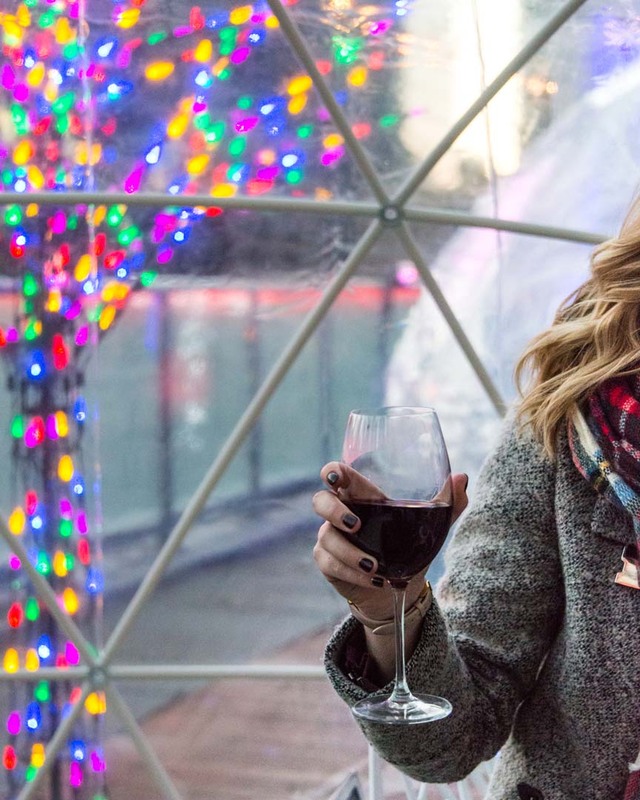 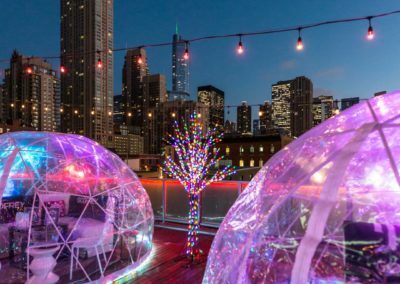 THIS IS THANKS TO THE HEATED, CLEAR-DOMED IGLOOS ON THE ROOFTOP’S OUTDOOR PORTICO, WHICH ARE AVAILABLE TO RENT WITH A PURCHASE FROM THE BOTTLE SERVICE MENU. 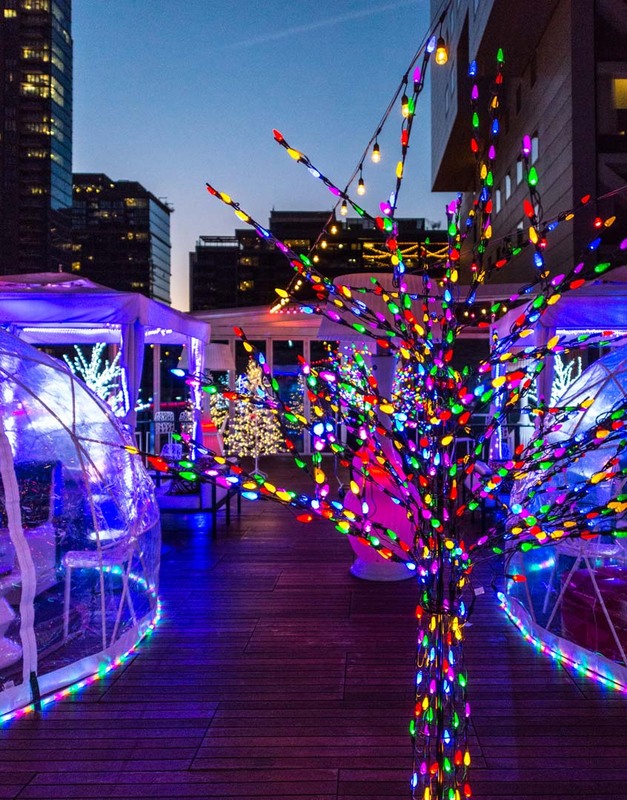 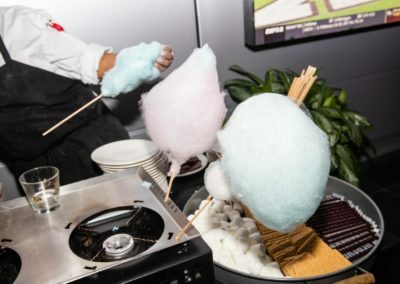 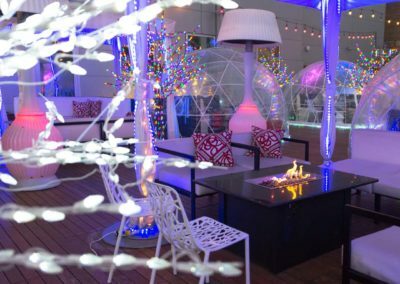 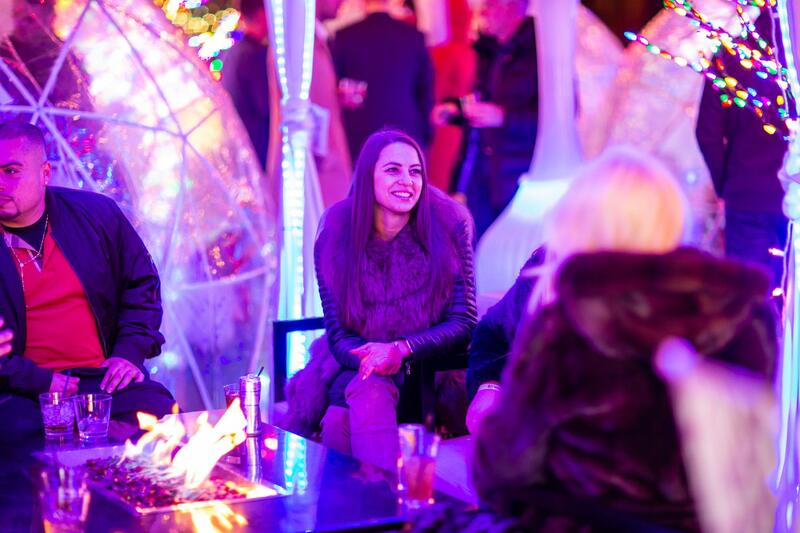 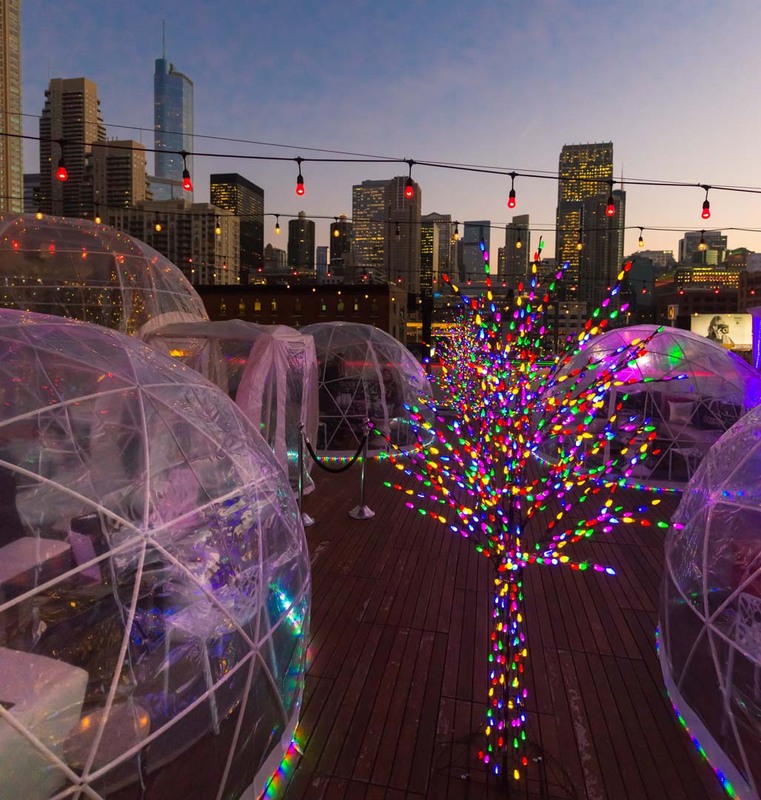 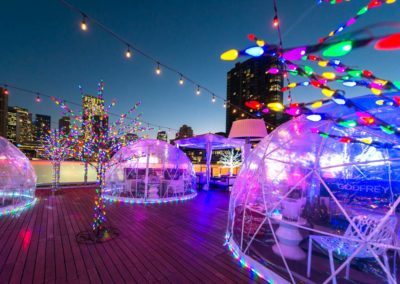 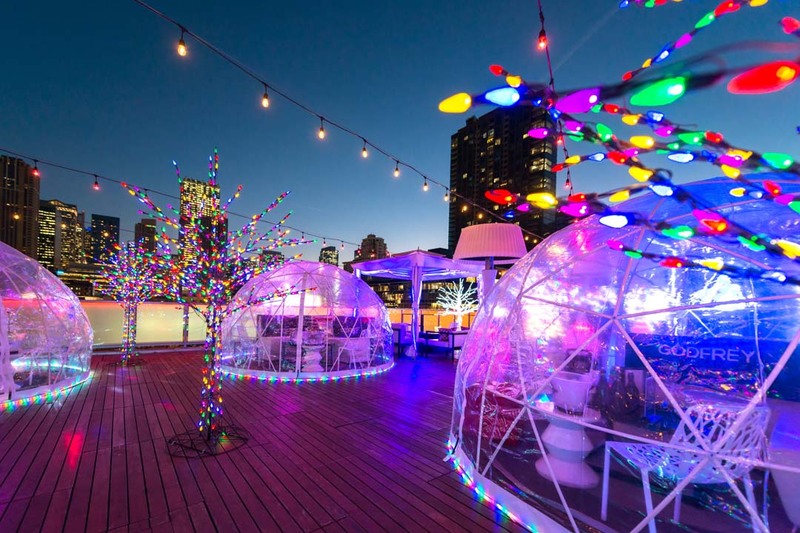 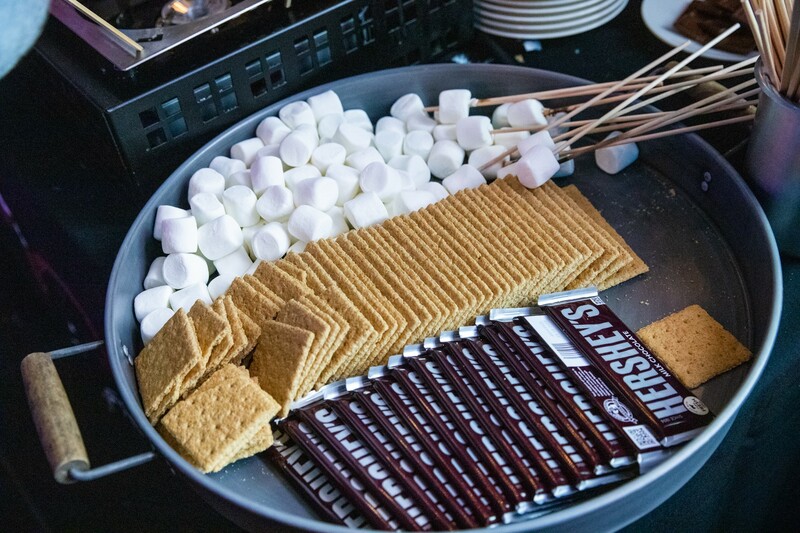 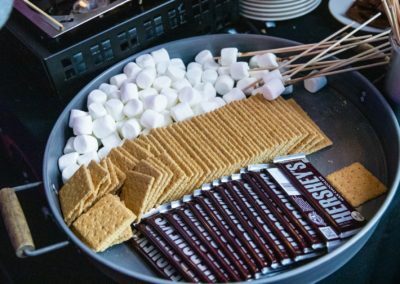 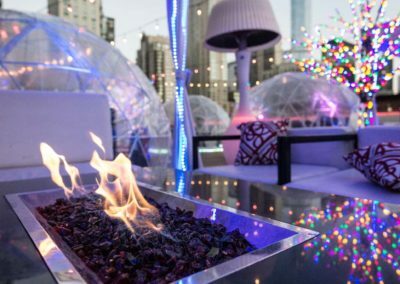 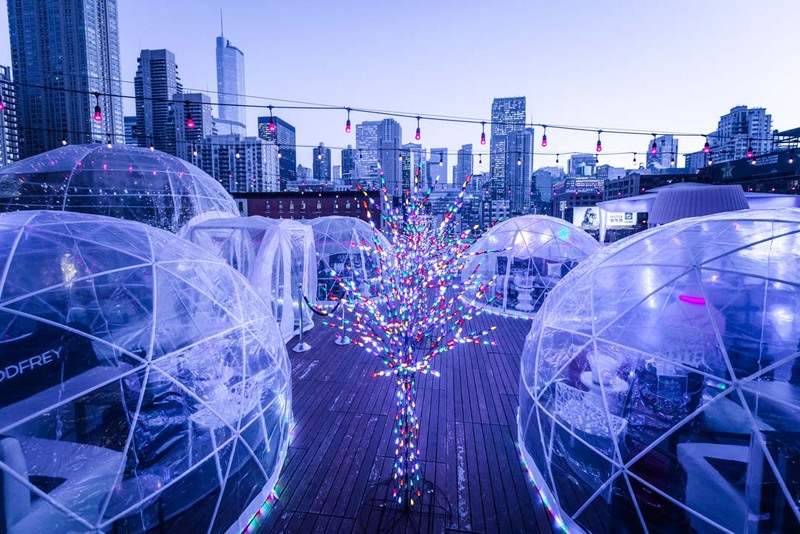 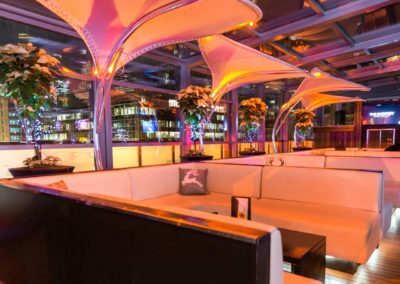 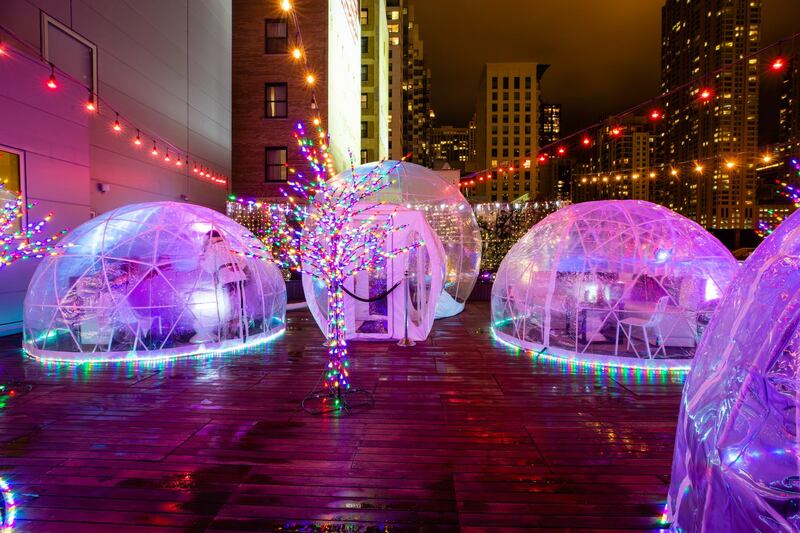 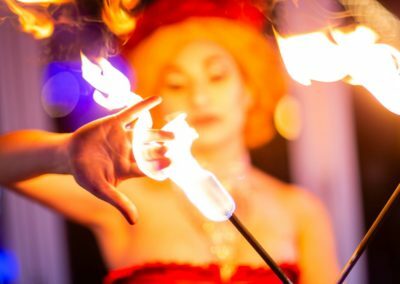 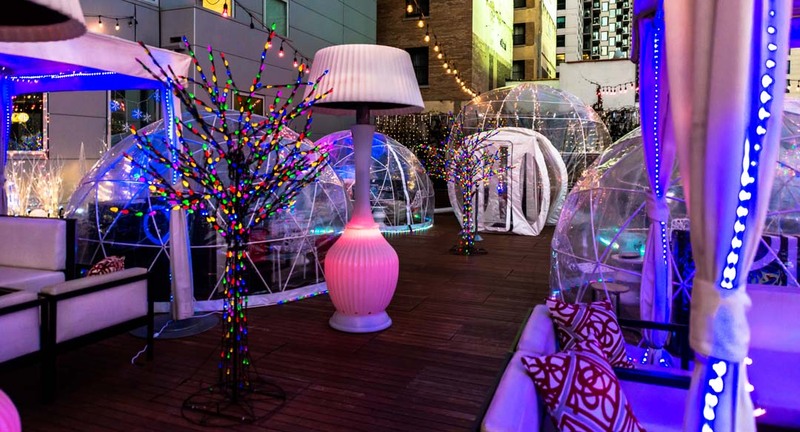 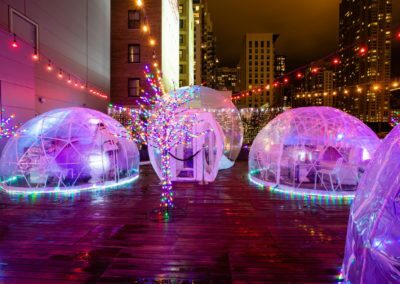 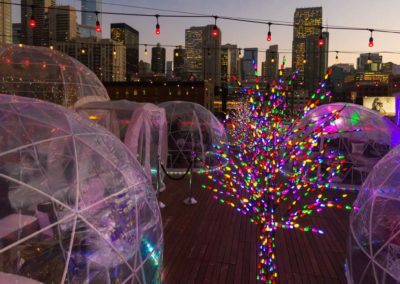 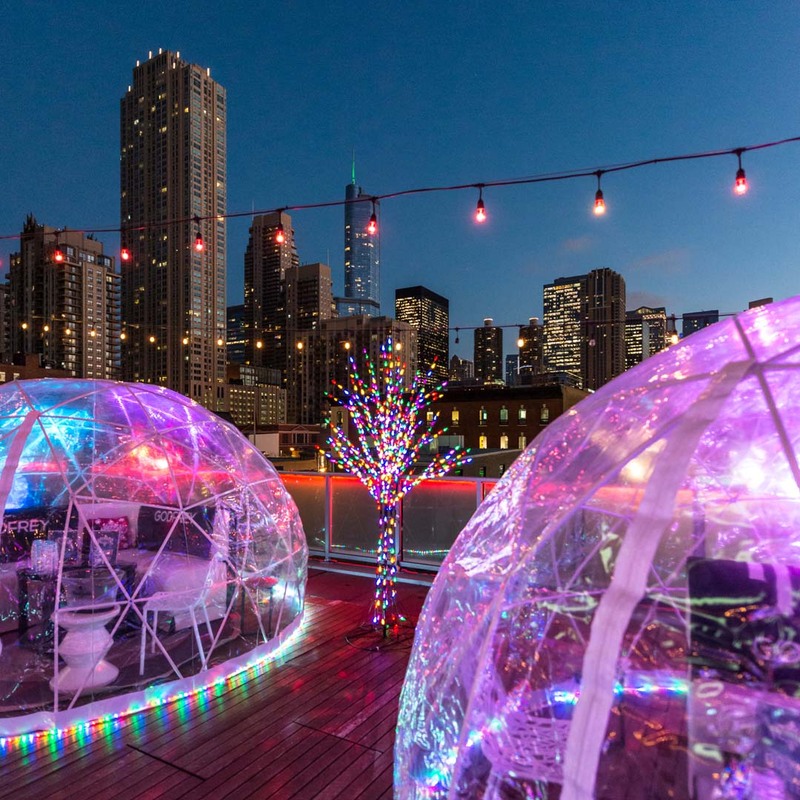 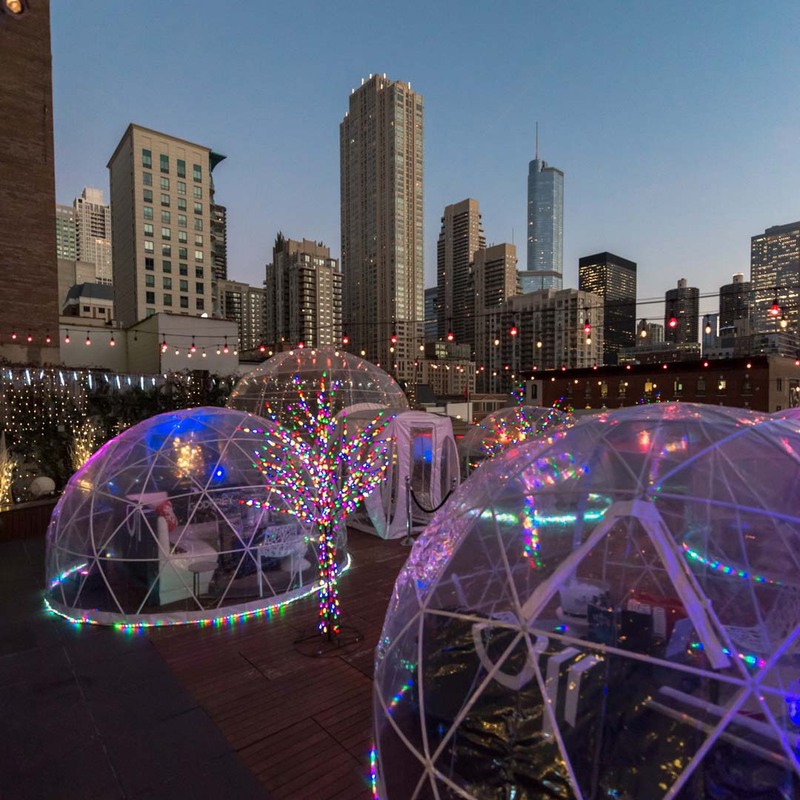 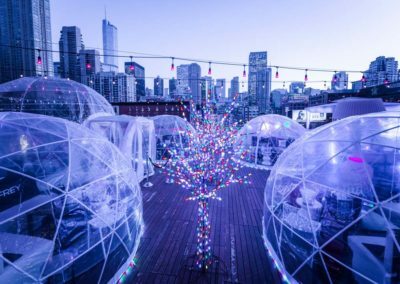 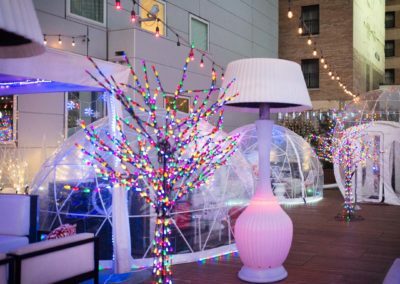 GUESTS CAN COZY UP IN ONE OF THE WARM IGLOOS, WHICH FEEL LIKE A PERSONAL SNOW GLOBE, WITH GROUPS BETWEEN TWO AND TEN PEOPLE, ORDER A HOT COCKTAIL AND S’MORES TO ROAST OVER THE OUTDOOR FIREPITS, AND ENJOY WINTER IN CHICAGO UNDER THE CITY LIGHTS AND THOSE ON THE ROOFTOP TERRACE. 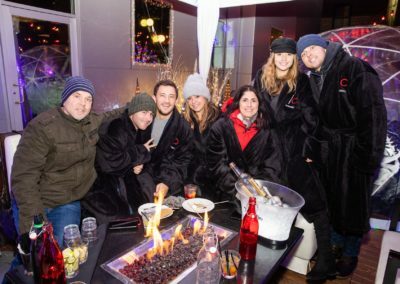 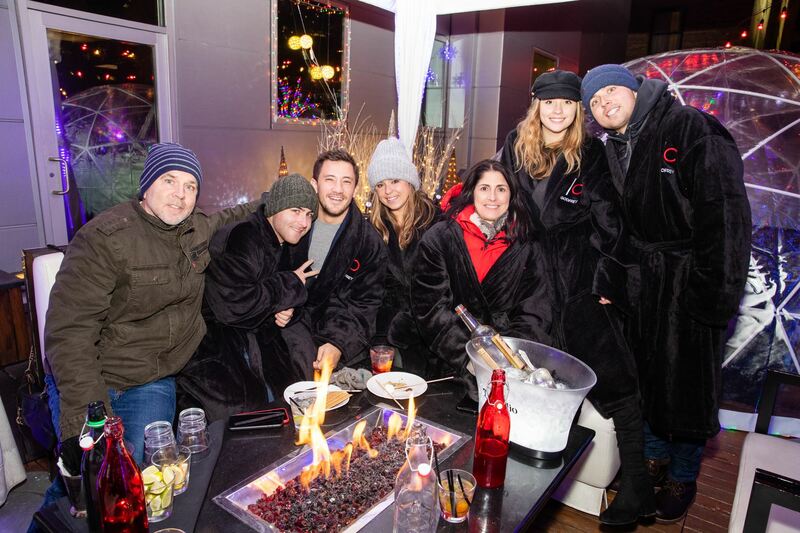 THE GODFREY EVEN OFFERS PLUSH ROBES TO HELP GUESTS KEEP EXTRA WARM WHEN THE FIRE PITS AND HEAT LAMPS AREN’T ENOUGH. 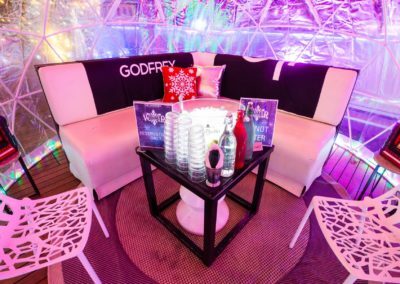 THE MINIMUM FOR A SMALLER IGLOO (SEATS UP TO 8 PEOPLE) IS ONE BOTTLE. 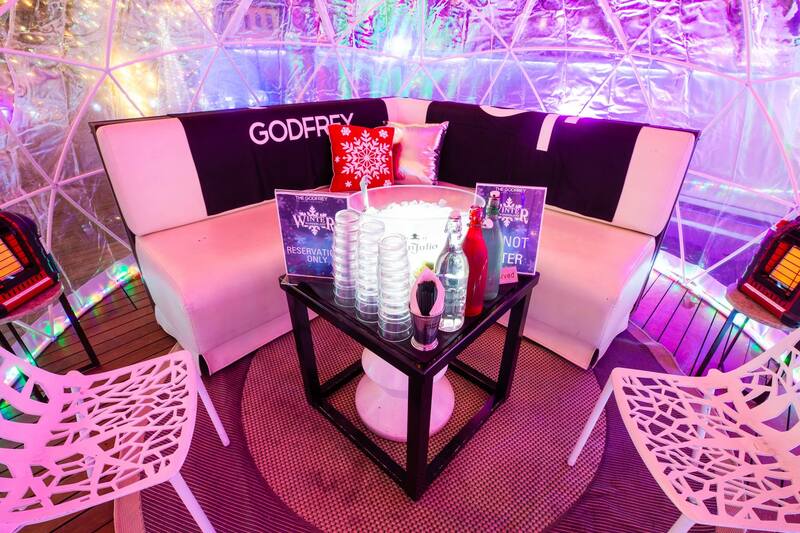 THE MINIMUM FOR A LARGER IGLOO (SEATS UP TO 12 PEOPLE) IS TWO BOTTLES. 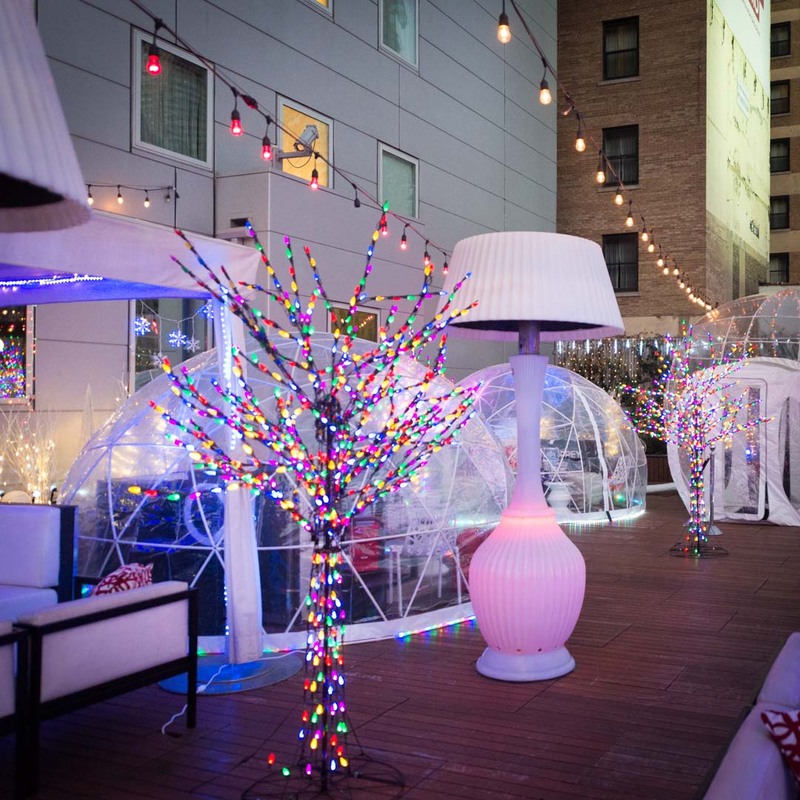 WE HAVE FOUR SMALLER IGLOOS AND ONE LARGE IGLOO. 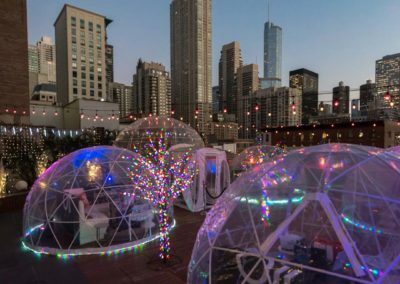 DUE TO EXTREMELY HIGH DEMAND, IGLOOS ARE ONLY AVAILABLE FOR A TWO-HOUR WINDOW AND THEY DO FULLY CLOSE BY MIDNIGHT. 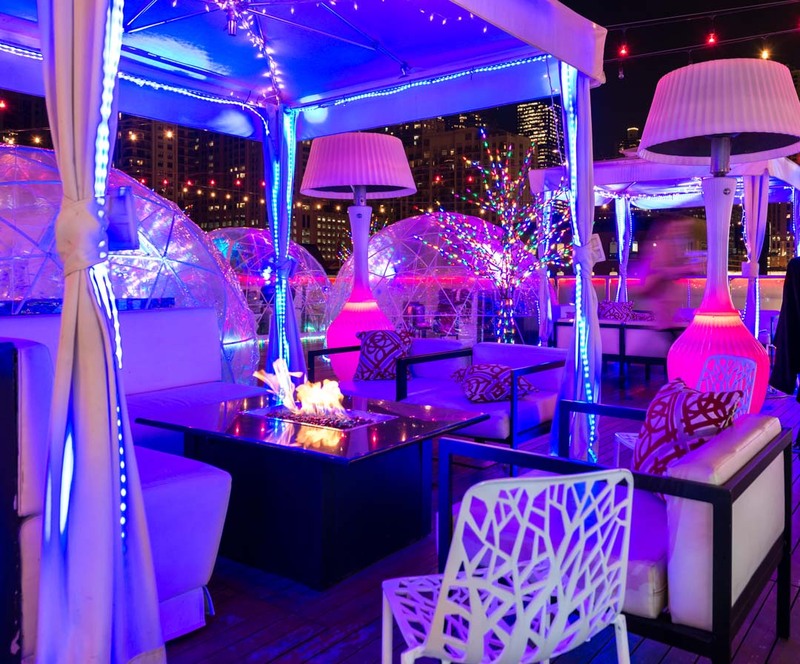 THE LAST RESERVATION TIME WE ACCEPT IS 10PM. 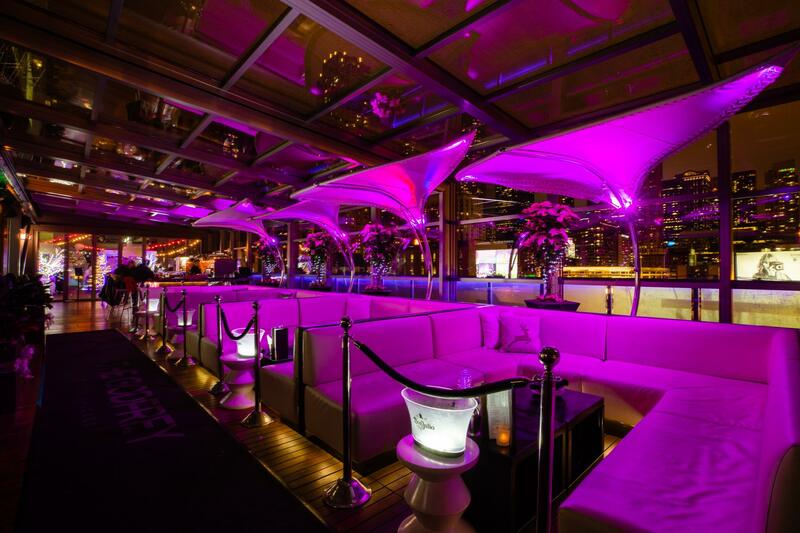 PLEASE NOTE, THERE ARE NO EXCEPTIONS TO THE TERMS OF THE MINIMUMS TO RESERVE. 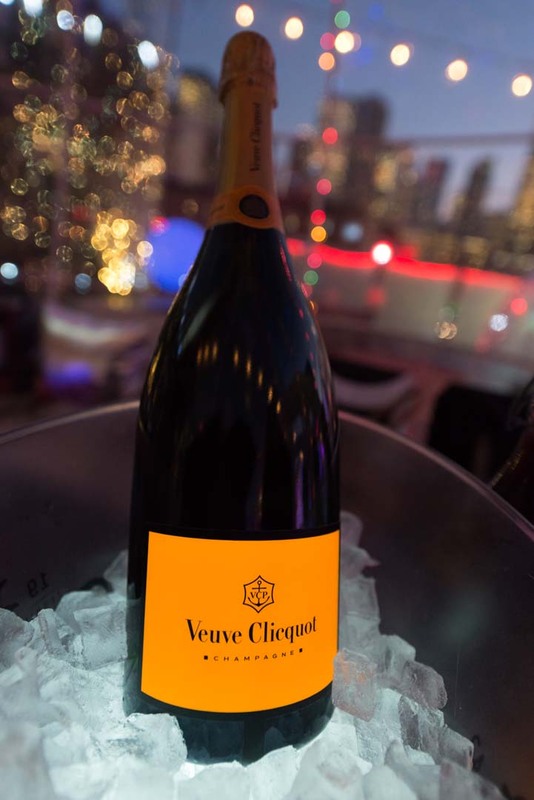 WE ARE NOT ABLE TO EXCHANGE THE BOTTLE MINIMUM FOR A DOLLAR AMOUNT, ALTHOUGH FOOD AND COCKTAILS CAN BE ORDERED IN ADDITION TO THE BOTTLE MINIMUM. 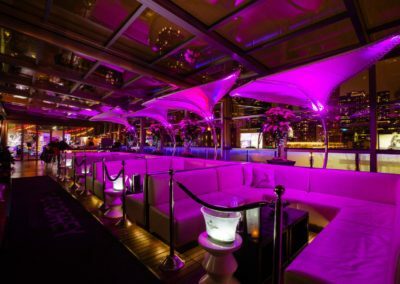 THERE IS A DEPOSIT OF $50 REQUIRED TO SECURE. 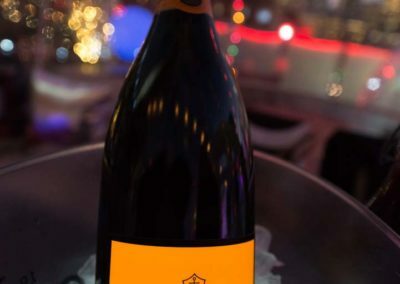 THIS DEPOSIT FEE WILL BE USED TOWARDS YOUR BOTTLE UNLESS YOU DECIDE TO USE A DIFFERENT CARD THE DAY OF YOUR RESERVATION. 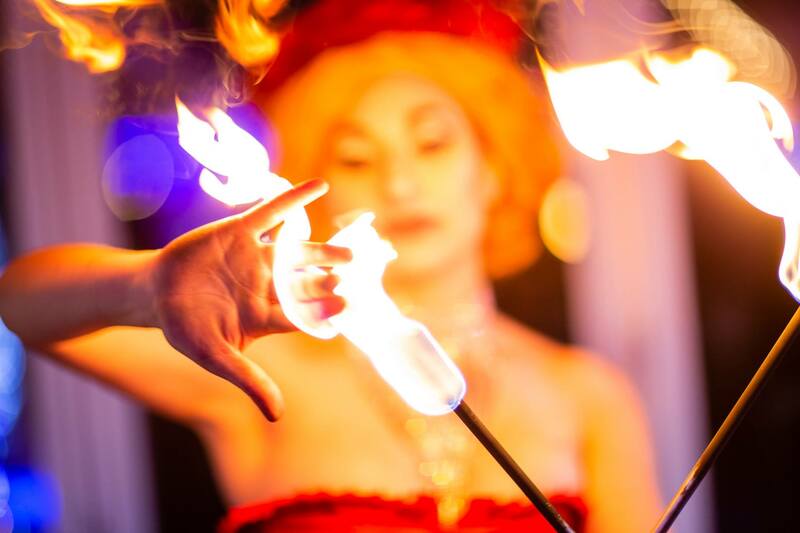 NOTHING IS CHARGED PRIOR TO THE DAY. 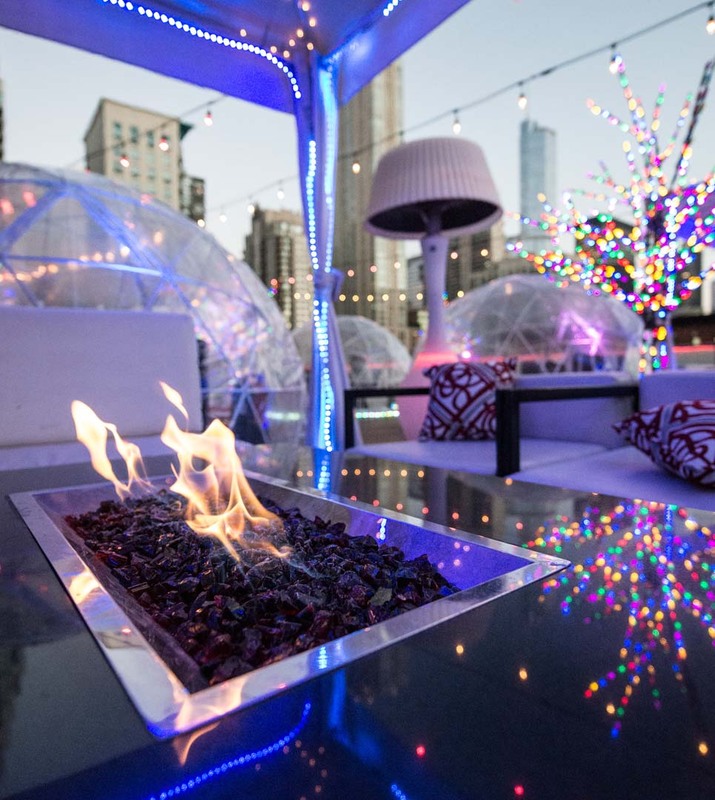 WE WILL APPLY THE DEPOSIT THAT DAY, AS WELL AS THE CANCELLATION FEE. 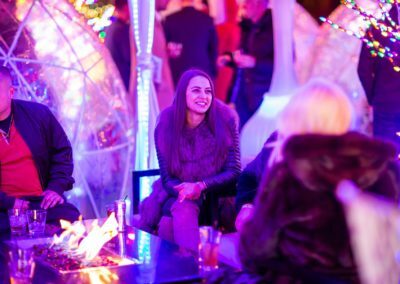 ONCE WE HAVE RECEIVED YOUR INFORMATION BELOW, WE WILL RESPOND VIA EMAIL TO YOUR REQUEST. 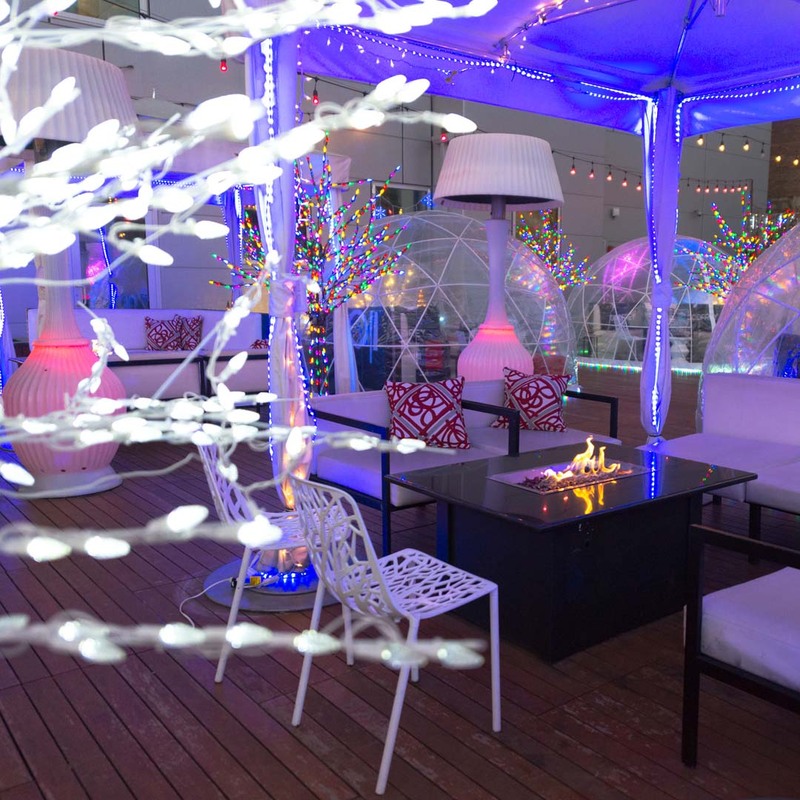 IF WE ARE ABLE TO ACCOMMODATE, WE WILL SEND A CREDIT CARD AUTHORIZATION FORM TO BE COMPLETED.